A must have for every car Make sure you and your loved ones can get home when stranded. It will jump start less than 5.5L gas or less than 4.0L diesel engine up to 20 times on a single charge. 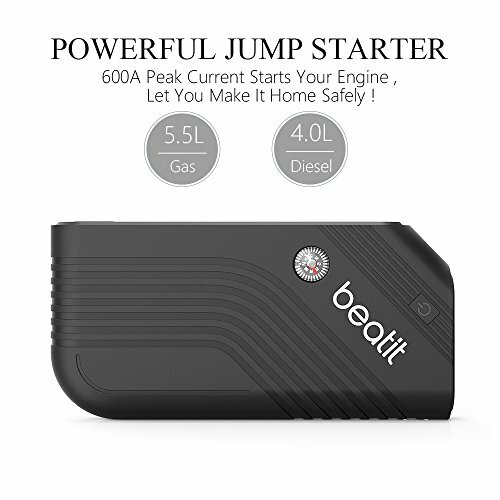 Unlike traditional bulky jump starter packs, it's small enough to store in your glove box and light enough to pack in your bag. 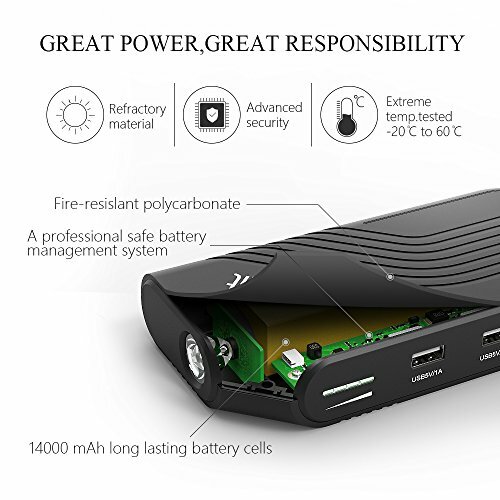 B9 specification: Self-Discharge:10-15% per year Out voltage at auto start end 12V USB output :5V/2.1A, 5V/1A Charger mode: CC/CV 15V/1A Start current:250A Peak current: 600A(3S) Cycle life:3,000times Capacity:50.32WH/14000mah Operating temperature range:-25℃ to +60℃ Weight:450g About the smart battery clamp! 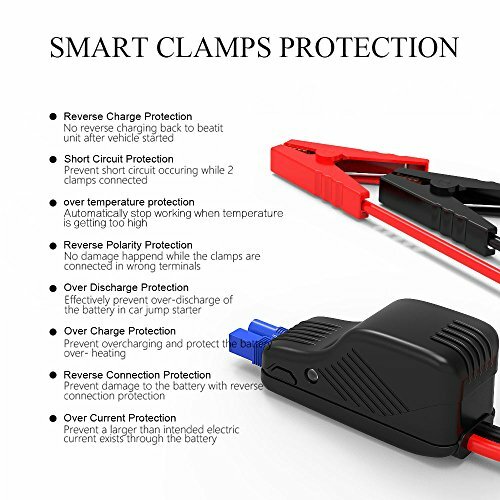 The LED light should be green, when you connected the clamp to your car battery correct and have press the power button on, then you should can start your car successfully. If not, you must check and make sure everything is right. If it still can't work, maybe you can try to press the button beside the LED light to enforce reset to keep the light green and start your car, but we not recommend you do this. 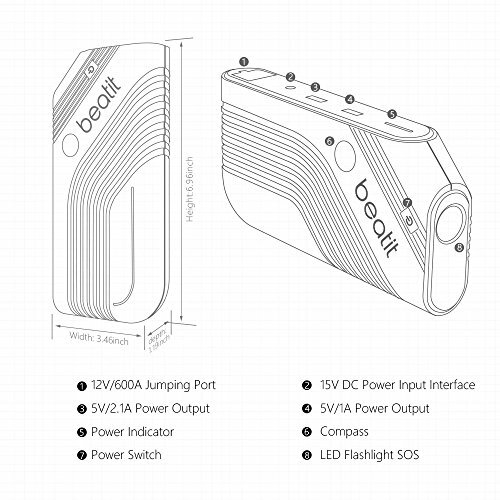 Attention: Do not connect the positive and negative polarity together when it's power. It may can't start your engine if the power of the charger is less than 25% to avoid damage to the product. 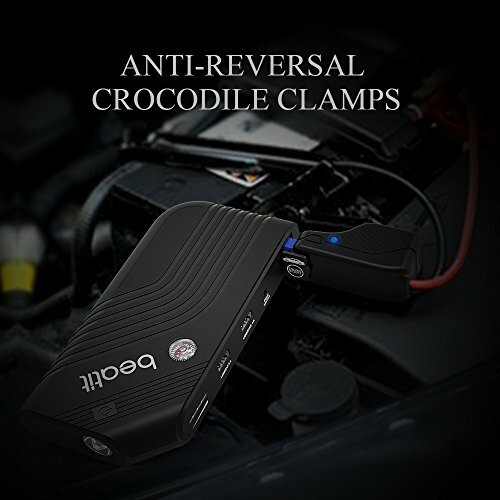 Please remove the clamps from the jump starter as soon as the vehicle started. 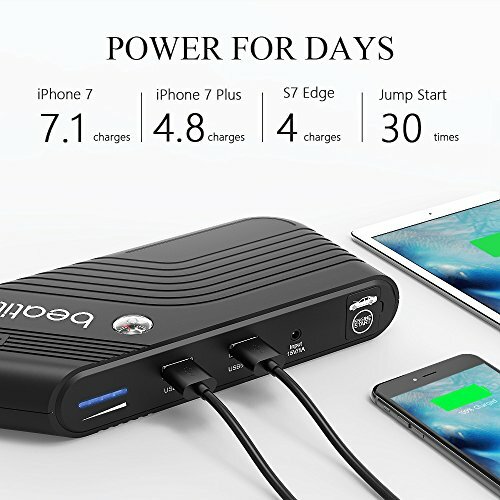 Package Include: 1 x B9 Jump starter 1 x 12V intelligent battery clips 1 x USB charge line 1 x Car charger 1 x home adapter 1 x Smart leather bag can pack all the accessories easily. 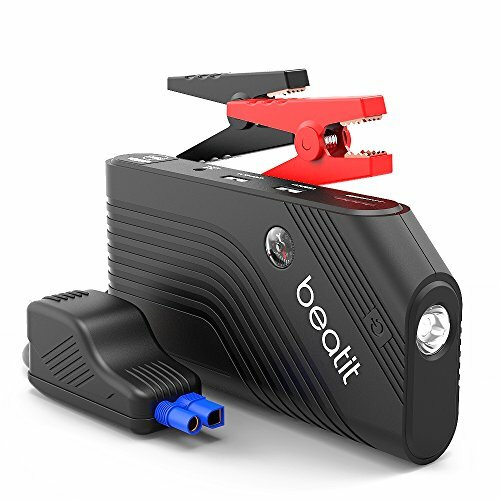 If you have any questions about this product by Beatit, contact us by completing and submitting the form below. If you are looking for a specif part number, please include it with your message.